Ring Union has launched! The site that brings boxing and WWE together. 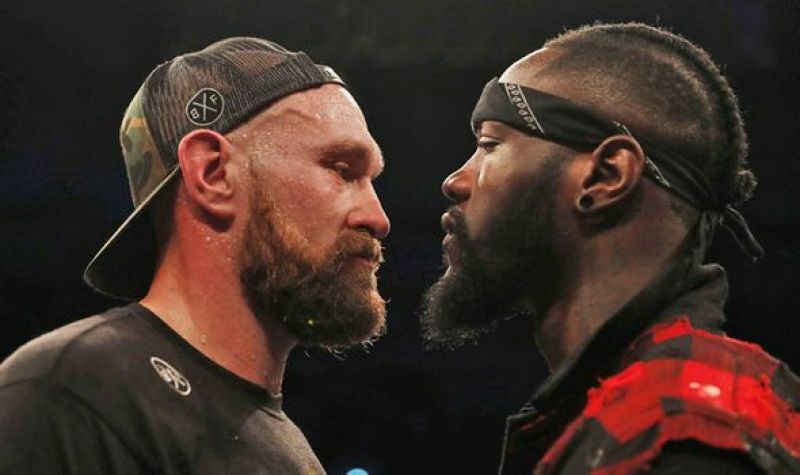 So where better for me to start than Deontay Wilder vs Tyson Fury, the boxing match-up that has already seen the kind of antics and bravado that you’d expect from Monday Night Raw. Any boxing fan that has never understood why people like WWE, finally got what it was all about when Tyson shouted “I promise you, I’m gonna knock you the f*ck out” in Deontay’s face, before trying to kiss him during the head-to-head. Yes, it was all very contrived, scripted and fake. But it was a hell of a lot of fun! The build-up has the potential to be the most entertaining in boxing history, even though there seems to be mutual respect between the two, and a shared intent on making Anthony Joshua look stupid. Already people are talking about nothing but Wilder-Fury, despite AJ’s Wembley date with Povetkin coming up in less than a month’s time. It might all be fun and games for now, but when that first bell goes the WWE comparisons end. There is no script, no tagging anyone in - just two men in the ring, with millions of eyes watching. So, what’s going to happen? It’s almost becoming a cliché now, but the Tyson Fury that beat Klitschko, for me, beats Deontay Wilder. He probably beats anyone in the world with that level of discipline, work rate and boxing skill. However, after a comeback fight against a man half his size terrified to throw a punch, before 10 rounds of what looked like a comfortable sparring session, we just don’t know where Tyson is at right now. Yes, he showed glimpses of the class we know he has against Pianeta. Some neat footwork and head movement caught the eye, but these are the things I never would have expected him to lose. He’s a naturally gifted boxer and no number of years out of the ring were going to eradicate that. He’s of course not going to lose his awkwardness and size either, so whatever happens Wilder is at the very least in for a test. But if the Gypsy King is going to beat the WBC champion he’s going to need the perfect game plan and 36 minutes of unrelenting focus. Does he seem like a man capable of that at the moment? No. But has he ever? Yet when it comes to the big occasion, he’s always been able to get in the zone, and stick to the plan. Whether he can do that again remains to be seen. The biggest question mark for me is the crispness of Fury’s punches. That was the thing I felt was lacking against Pianeta, and it cannot afford to be lacking against Deontay Wilder. Put simply, if Tyson can’t hurt Wilder, or at least earn his respect, the Bronze Bomber will just charge through his attacks in order to land that right hand. And if he does that, you guessed it, lights out. It’s probably clear by now that I have my doubts about Tyson Fury in 2018, but if I had to put all my money on someone to win this fight right now, it would be him. Maybe it’s my heart ruling my head, but I have to believe the Tyson Fury that steps through those ropes at the backend of the year will be something close to the one that shocked the world in Dusseldorf. If it is, the most skilled heavyweight of our generation will be world champion again. But we want to know what you think! Let us know how you see the fight going in the comments below.